With the 50th anniversary of JFK’s death, my brother, sister & I have been trading emails about some of the pure hooey that’s been shown on TV recently expecting the public to buy some of this crap about JFK’s assassination. Back in the 1990s my brother got way too absorbed in JFK’s assassination cover-up & did countless hours of his own research. While researching he uncovered many sad but very sobering truths about how & why things are the way they are in our country & our world. Such as the “power brokers” who run our world, the Illuminati, the fact that income tax is optional, the federal reserve is a scam etc etc. The email below is from my brother & sister. It starts with why JFK was assassinated but actually gives a very good outline of why a lot of other world events happened up to the present mess our country & our world is in, so it does not specifically focus on JFK. It also further backs up my own commitment to not watching the news. I’m thankful now we have “underground” websites (thank you to those of you who run them! ), wikileaks etc so the truth can come out. 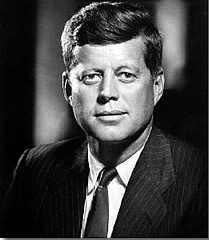 Based on research by numerous people, it appears that a primary reason why JFK’s assassination had to happen is because he signed Executive Order #11110 which authorized the U.S. Treasury to issue its own money, certificates backed by silver, as an alternative form of money to Federal Reserve notes. This meant that for every ounce of silver in the U.S. Treasury’s vault, the government could introduce new money into circulation based on the silver bullion physically held there. In other words, he was creating interest-free government money, backed up by the silver reserve (contrary to the Federal Reserve money, which is not backed up by anything) to pay off the US debt. If Kennedy had not been assassinated, this change could have prevented the national debt from reaching its current level, because it would have given the government the ability to repay its debt without going to the Federal Reserve and being charged interest in order to create the new money. To understand the impact of this executive order, you must understand the Federal Reserve System. It’s a misnomer. It has no reserves because it was intended to create money, not hold it in reserve. It is not federal at all, it’s a private corporation, composed of 12 private banks (owned by super-wealthy International banking families, such as the Rothschild’s and the Rockefellers), which creates money out of nothing and then lends it to the U.S. government at usury. This setup is against the US Constitution, as the government is supposed to create our money (the 16th amendment), which in its turn should be backed up by gold and silver. Federal Reserve notes have not been redeemable in gold since January 30, 1934; Federal Reserve notes have not been redeemable in silver since the 1960s. The Fed is a legislated monopoly on currency and credit, signed into existence in 1913, which is allowed to buy its paper currency for nothing more than the cost of the paper, ink, and labor, from the Bureau of Printing & Engraving (U.S. Treasury). Originally this was about 2.3 cents per note, or $230 of cost to buy one million dollars. As of 2005 it was 2.6 cents. Additional profits are reaped for the Fed by the practice of Fractional Reserve Banking. For every $1 deposited in a member bank, $7 can be lent out through fractional reserve policy. That $7 of additional Federal Reserve Notes was never put in circulation. They were “created out of thin air” in the form of credits. In other words, the Federal Reserve Notes were not physically printed but, in reality were created by a journal entry and lent at interest. All new money is loaned into circulation as an interest bearing debt. Since this system only creates the principal and never the interest, the debt is always greater than the money supply. This fraudulently created debt forces American citizens to constantly borrow its own money plus interest from the Federal Reserve so the system can function. Our current money system is a house of cards that must fall because the debt can mathematically never be paid-off. Why is this important? Because the power to create money is the power to control the world. The Fed was brought into existence by the Federal Reserve Act of 1913, a planned deception, after a series of deliberately caused very damaging financial panics dating back to the origins of our country. The primary instigators were the Rothschilds, most notably the Rothschild’s Bank of England. Every time this country resisted a central bank, the Rothschilds et al caused a financial panic to occur. Even after a central bank was created, the Rotschilds continued to influence monetary policy and induce panics. Finally, succumbing to years of pressure, Congress passed the 1913 act created a private central bank, the Federal Reserve, beholden to banks in London. Since 1913 the dollar has lost 96 percent of its value. Three USA presidents have been assassinated for their concern with the issuing of public currency. Lincoln issued the Greenback, non-interest-bearing notes, instead of permitting the Rothschild desired central bank. Shortly before his assassination, Garfield declared that whoever controls the supply of currency would control the business and activities of the people. President Thomas Jefferson warned us in 1791 that a private central bank issuing the public currency was a greater menace to the liberties of the people than a standing army. Two families which have incredible world dominance are the Rockefellers, now headed by David Rockefeller, and the Western European and United Kingdom’s House of Rothschild, now headed by David de Rothschild. In 1998 the Rockefeller family was worth $11.48 trillion, and the Rothschild family was worth somewhere between $100 and 900 trillion. These International bankers own the Central Banks in every nation in the world, except the so-called five rogue nations. The U.S. State Dept. defines “rogue nations” as any nation that harbors of supports terrorists. The present nations that meet this definition are/were: Iran, Libya, Cuba, North Korea, and Sudan. Afghanistan and Iraq were removed from this list when the U.S. Invaded them. One of the first acts after the invasion was to set up an Elite controlled Central Bank. The First World War changed the status of the United States from that of a debtor nation to the position of the world’s greatest creditor nation, a title formerly occupied by England. Since debt is the basis for the creation of money, according to the Federal Reserve Board, this also made us the richest nation of the world. The Fed caused the Agricultural Depression of 1920/21 to get back the vast amount of money and credit which had escaped their control during the time of prosperity which they had permitted after WWI. The people who suffered from the Crash were the workers and farmers who had invested their money in get-rich stocks, after the President of the United States, Calvin Coolidge, and the Secretary of the Treasury, Andrew Mellon, had persuaded them to do it. They deliberately lied to the people by telling them that the condition of the stock market was sound. To make matters worse, through the dark years of the Depression in 1931 and 1932, the Governors of the Federal Reserve Board saw the plight of the American people worsening but did nothing to help them. This was more criminal than the original plotting of the Depression. Why? The Wall Street bankers were through with Mr. Herbert Hoover, and they wanted Franklin D. Roosevelt to come in on a wave of glory to “rescue” the nation. As soon as FDR took office, the Federal began to buy Government securities and created a hundred million dollars in new money, which alleviated the critical famine of money and credit, and the factories started hiring people again. Between 1933 and 1935 FDR eased the burden of debts off of the rich onto the poor, since the rich are few and the poor many. Franklin D. Roosevelt himself was an international banker of ill repute, having floated large issues of foreign bonds in this country in the 1920s. These bonds defaulted, and our citizens lost millions of dollars. In addition to causing America’s Great Depression, the Fed also played a role in the elections of WW, HH & FDR, all men whom the bankers could manipulate in their schemes to make more money for their select few. There might have been no WWI without the Fed which it made possible by enabling the United States to finance the Allies. The European nations had been led to maintain large standing armies as the policy of the central banks which dictated their governmental decisions. But their economies could not support the enormous expenditures of a major war. The Fed lent the Allies twenty-five billion dollars which was not repaid, although considerable interest was paid to New York bankers. Western democracies did not recover from the Great Depression until they began to rearm for the Second World War. Between the two World Wars, it was necessary to rearm Germany, and also to back a German Government strong enough to prepare the nation for another war. The same people who had supplied Germany from 1916 to 1918 in order to keep World War I going backed the Nazis to produce a Second World War. Don’t forget war is hugely profitable which is why there has to be constant warfare somewhere. Even though it was known how to end WWII earlier, it couldn’t be permitted to happen. Ending the war in 1943 would have cost the munitions manufacturers many billions in profits. The source for much information in this section is “Secrets of the Federal Reserve” by Eustace Mullins (http://www.whale.to/b/mullins1.html). The War of 1812 was yet another Rothschild provocation to attempt to force a private central bank on this country because Congress refused in 1811 to renew the 20 year charter of the Rothschild controlled First Bank of the US. After the war ended, the charter for the Bank of the United States was renewed in 1816 for another twenty years. Our nation had never been 100% debt free until President Jackson who refused to renew the charter for the Rothschild controlled central bank in 1836 & has never been since then. In retaliation the Rothschilds initiated the panic of 1837. Mullins states there is documented evidence that the House of Rothschild has financed both sides of every war since the American Revolution, including the Civil War. Rothschild agents conspired with local politicians in southern states to work against the best interests of the United States. To the victors go the spoils, but what’s more important, the (re)writing of history books. More could be said as this is extraordinarily important. It is fascinating reading. Income tax does not fund the government. The government collects corporate taxes, social security taxes, constitutional revenues such as excise taxes on cigarettes, alcohol, tobacco, firearms, tires, etc., tariffs on trade, military hardware sales, and some minor categories. Five months after signing, JFK was dead & LBJ suspended this program immediately, and the Federal Reserve’s control over the U.S. economy has never once been challenged since. As a result, we now have a debt-ridden, under-performing economy where unsustainable bubbles profitable only to the private banking industry have been substituted for real economic growth. Since the Fed was back in control, the Elites were free to continue with their agenda which has led over the decades to a country where deregulation, privatization, derivatives, “trickle down economics,” leveraged buyouts, junk bonds, subprime mortgages, loosening of some regulations yet failure to establish others where needed (most notably in the health field; see below), unrestrained commodity speculation (most notably in oil), free trade agreements, ‘outsourcing’, ponzi scheming, cooking the books, rampant changes to tax laws to favor corporations & wealthy folk, Supreme Court ruling that corporations are persons entitled to constitutional rights, huge increases in the power of the corporations & PACs (Political Action Committees) to the point where America is basically a “corpocracy” – – – all of which led to insane profits for Big Business & a select few and of financial insecurity for a large portion of the population of the country. We now live in a country in which some of the above practices have led to unemployment & cost of living increases at levels far higher than those reported by the government using algorithms which deliberately obfuscate the severity of the situations which is to the benefit of the Elites. For example, the official unemployment rate does not include those who are unemployed and seeking work but have used all their unemployment benefits. The middle class is being deliberately decreased (eventually to all but be eliminated) & all but the wealthy pushed deeper into poverty via all of the above practices along with systematic raiding of pockets of wealth, gutting of safety net programs and targeting of Social Security & Medicare for eventual dissolution. It appears that one of the most likely scenarios for the assassination is that it was driven by three groups: the Mob (i.e. Jewish global organized crime), the Mossad, and the CIA with Israel as the driving force. Certainly the latter two had much to gain by JFK’s assassination. The Mossad, Israel’s main intelligence agency, is quite possibly the most ruthless and efficient intelligence agency in the world. Its original motto was: “By way of deception we shall do war.” The motto of the CIA is: “And ye shall know the truth and the truth shall make you free.” They make quite a pair. While there is no way to know the extent of their joint ventures/operations, including lucrative drug running, they been leading suspects in the JFK assassination, 9-11 and the 1967 sinking of the USS Liberty, a government intelligence ship, by the Israelis. Mossad & False Flags: In addition, it appears the Mossad played a role in 9-11.The nano-aluminum used in making the Thermate found in the dust of 9-11 traces back to Elbit Israel’s largest military contractors & developer of the gel-sol formulia for thermate. Thermate the militarized version of thermite whose patent is owned by the US DOD and was used to bring down all 3 buildings on 9-11. Lots omitted, it wasn’t just the Mossad. But they are considered #1. LBJ allowed Israel to proceed with its nuclear development, resulting in them becoming the 6th largest nuclear force in the world. In Kennedy’s last fiscal budget year of 1964, Israeli aid was $40 million. In LBJ’s first budget of 1965, it soared to $71 million, and in 1966 more than tripled from two years earlier to $130 million. Plus, during Kennedy’s administration, almost none of our aid to Israel was military in nature. Instead, it was split equally between development loans and food assistance under the PL480 Program. Yet in 1965 under the Johnson administration, 20% of our aid to Israel was for the military, while in 1966, 71% was used for war-related materials. 1) USA foreign and military aid to Israel increased dramatically once LBJ became president. 2) Rather than trying to maintain a balance in the Middle East, Israel suddenly emerged as the dominant force. 3) Since the LBJ administration, Israel has always had weaponry that was superior to any of its direct neighbors. 4) Due to this undeniable and obvious increase in Israel’s War Machine, a constant struggle has been perpetuated in the Middle East. 5) This country’s huge outlays of foreign aid to Israel (approximately $10 billion/year when all is said and done; date unknown for this statement) has created a situation of never-ending attacks and retaliation in the Middle East, plus outright scorn and enmity against the U.S. for playing the role of Israel’s military enabler. An enormous part of the picture of what is happening/has happened/will happen involves Israel, Zionism, Jews & crypto-Jews. According to Jewish press last September, Jews comprise less than 0.2 percent of the world’s population. Jews comprise 2% of USA population with the highest percentage in New York State, 8.4% of the populace. According to localnewsdigest, Jewish Americans are the most powerful and influential ethnic group in America. They comprise 40 percent of U.S. billionaires. 18% of Jewish households have a net worth of $1 million or more. More than 60% of all employed Jews are in one of the three highest status job categories: professional or technical (41%), management and executive (13%) and business and finance (7%). Over 45% of large gifts made to charity are made by Jewish Americans. Over 50% of Jewish Americans live in just four states: New York, New Jersey, Florida and California. Estimates of the extent of Jewish control of American media varies. It could be as high as 99% of the mass media in the US. By permitting Jews to control our news and entertainment media, we are doing more than merely giving them a decisive influence on our political system and virtual control of our government; we also are giving them control of the minds and souls of our children. According to another source, six Jewish companies control 96% of the world’s media, the largest media conglomerate being Walt Disney Company, now run by Bob Igor, born to a Jewish family on Long Island. Since the importance of the Fed has already been discussed, it is significant to note the number of men chairing the board of directors/governors of the Fed who have been Jewish or have a Jewish connection: 8 of the 14. Since 1970, the Chair has been Jewish except for 15 months when G. William Miller worked in tandem with fellow Carter appointee, Treasury Secretary W. Michael Blumenthal (Jewish) in setting monetary policies. Paul Warburg (Jewish) wrote the 1913 Fed Reserve Act and until 1930 he continued to determine the policy of the Federal Reserve System, as President of the Federal Advisory Council and as Chairman of the Executive Committee of the American Acceptance Council. In 1973 venerable Senator J. William Fulbright told CBS that about 80% of the Senate is in Israel’s hip pocket. To examine only at the administration of Obama & the past two presidents, one can find an abundance of Jews in top positions (though this is not a new trend): Jews have been Secretary of the Treasury for Clinton & Obama; Assistant Secretary of the Treasury under Bush; Head of National Security Council, Head of National Economic Council, Chief of Social Security, all under Clinton; Attorney General under Bush; Secretary of Homeland Security, Director of Office of Management and Budget, Chairman of the Securities and Exchange Commission, Chairman of the Commodity Futures Trading Commission, Director of the National Economics Council, all under Obama. Under Clinton & Bush, 18 high level positions were filled by Jews and 20 under Obama (the aforementioned are included in the totals). In order to set the record straight, three more points about the Jews need to be made. (1) Role of worldwide Jewish leadership in WWII. It was worldwide Jewish leadership – not the Third Reich – which effectively fired the first shot in the Second World War: the international Jewish declaration of war on Germany shortly after Adolf Hitler came to power and well before any official German government sanctions or reprisals against Jews were carried out. The March 24, 1933 issue of The Daily Express of London described how Jewish leaders, in combination with powerful international Jewish financial interests, had launched a boycott of Germany for the express purpose of crippling her already precarious economy in the hope of bringing down the new Hitler regime. It was only then that Germany struck back in response. The war by the international Jewish leadership on Germany not only sparked definite reprisals by the German government but also set the stage for a little-known economic and political alliance between the Hitler government and the leaders of the Zionist movement who hoped that the tension between the Germans and the Jews would lead to massive emigration to Palestine. That was the only land wanted by Theodore Herzl, the founder of Zionism. He rejected land in southern Poland, part of the Sinai, Kenya and Madagascar (approved by both Hitler & Himmler). In short, the result was a tactical alliance between the Nazis and the founders of the modern-day state of Israel in Palestine. The Transfer Agreement was the agreement between Zionist Jews and the National Socialist government to transfer German Jewry to Palestine. Although most Jews did not want to flee to Palestine at all, due to the Zionist movement’s influence within Nazi Germany a Jew’s best chance of getting out of Germany was by emigrating to Palestine. In other words, the Transfer Agreement itself mandated that Jewish capital could only to go Palestine. Even before the end of WWII (before body counts could be made), the NYT proclaimed six million Jews died. That is one of the Holocaust’s three basics: six million murdered, systematic state extermination and gas chambers as the murder weapon. Anyone disputing these claims has been viciously smeared as a hateful anti-Semite. This site explains how Jews used the six million number from 1900 through WWII. The delegates of the International Red Cross found no evidence whatever at the camps in Axis occupied Europe of a deliberate policy to exterminate the Jews. In all its 1,600 pages the Report does not even mention such a thing as a gas chamber. In other words, the “Holocaust” never happened. The last sentence above is known as “Holocaust denial.” It is illegal and punishable by imprisonment in: Austria, Belgium, France, Germany, Hungary, Israel, Luxembourg, Poland & Romania. Since 2009, six Germans, two Austrians and two Swiss have been imprisoned for Holocaust denial. Jews around the world intentionally lied for the purpose of gaining emotional, business and other advantages for themselves. They needed horror stories for two reasons. One was to justify stealing Palestinian land so they could establish Israel. Afterwards, it gave them a propaganda weapon to beat the Gentile world into submission. Now the Holocaust story is treated like dogma or a religion where the more time that passes from this alleged massacre, the more we have to hear about it, and the less we can question it. Jewish racists have a free hand to do whatever they want without fear of being exposed or criticized for it. You cannot question or criticize Jewish media moguls, bankers, politicians, organizations, or the Israeli government without being called an “anti-Semite” by their minions in the press and government. The Holocaust story also elevates the Jews above the rest of humanity. Do we ever hear the media talk about how many blacks died in the slave trade? No. The Jews want to get all Gentiles to think that Jews suffered more than anyone else in the world, and thus, are deserving of special treatment. Even before the war ended, Jews decided to have a post-war Nuremberg show tribunal and German reparations. The reparations swindle was to finance Jewish settlement in Palestine after the war. This topic boggles the mind in staggering monetary sums, breadth and unbridled greed and arrogance. Obtaining a dollar total is impossible. In 1951 Israeli authorities calculated they were owed 1.5 billion dollars ($13,300,000,000 in today dollars) by Germany but stressed that the Germans could never make up for what they did with any type of material recompense. But that has not prevented them from forcing recompense to the present date and beyond. which obligated them to make restitution: three billion German marks to the State of Israel (which they paid over 14 years) and 450 million marks to the World Jewish Congress. The payments were made to the State of Israel as the heir to those victims who had no surviving family. he money was invested in the country’s infrastructure, and played an important role in establishing the economy of the state. A Jewish source states that in addition, Germany agreed to pay Israel $845 million in the form of goods. Subsequently, the original Reparations Agreement has been greatly expanded over the years resulting in huge additional payments. Israel has also received two Dolphin-class nuclear-arms-capable submarines for free from Germany, along with substantial discounts on two others, and has two more on order for a total of six as of December 2012. There appears to be no definitive total of the amount of reparations paid to Jewish individuals by Germany since 1952 let alone paid by other countries and corporations both within Germany and outside. One source stated $89B was paid by Germany primarily to Jewish survivors from 1952-2012. In July 2012, it was announced Germany would pay for a new category of Nazi victims: an additional 80,000 purported survivors living in the former Soviet Union. The agreement will result in a payout of about $300 million. Germany already increased payments in 2012 for home care for Holocaust survivors by 15 percent over 2011, and has pledged to raise that further in 2013 and 2014. New categories have been regularly added as more ways to fleece Germany. It is very important to note that when Germany first started paying reparations in 1952, the country was still a pile of rubble at that time and there were millions of “expellees,” the term for ethnic Germans who had been evacuated to Germany after the war. Did they ever get any reparations? No. The expellees from the Czech Republic were still living in the barracks at Dachau in 1960 before they were thrown out, so that a Memorial for the Jews could be constructed at Dachau. Also note that definitions were very broadly and liberally drawn, all in favor of Jews, such as for “persecution” and “loss of freedom”. The words “The Second Round” refer to efforts by international Jewish organizations, beginning in the early 1990s, to extract additional restitution monies on behalf of purported Holocaust survivors. The feeling seems to have been that while the Luxembourg Agreement was nice, more penance was needed, and it shouldn’t be just Germany alone; other countries should be forced to pay up as well. These additional countries included Norway, Sweden, Austria, and Switzerland; also the Soviet Union had just collapsed, and so the former East bloc countries were targeted too. The extortion racket of the Holocaust Industry is backed by the German holocaust-denial-law which keeps the entire nation shackled. Any rejection of financial holocaust claims constitutes a crime under this section of the German penal code. The state and the people would commit the “crime of igniting racial hatred” if they refuse to pay. A refusal of payment can only be reasoned by asserting that the crime either did not or had not occurred to the claimed extent. Such an objection, however, is “holocaust denial” in Germany and therefore a crime. Anyone can now understand the German holocaust-denial-law better. A law, the Germans have gagged and bound themselves to. Very convenient. There is doubt that the Germans even had to sign the initial reparations agreement, though they did so to absolve themselves of guilt and help accelerate their acceptance by the Western powers. There was no basis or counterpart in international law for the collective Jewish claims and it was historically unprecedented. For one thing, the State of Israel did not exist at the time of the actions for which restitution was paid. The agreement regards Jews not as equal and fully integrated citizens of whatever country they live in, but rather primarily as members of an alien and cosmopolitan national group. Moreover, the Claims Conference had no legal authority to negotiate and act on behalf of Jews who were citizens of sovereign countries. Further, it is based on the premise that the German nation, including even the Germans who grew up since 1945, is collectively guilty of terrible crimes, contrary to the democratic notion of individual responsibility for crime. Jews were represented in an internationally recognized treaty with a foreign state not by the governments of the countries of which they were citizens, but rather by a supranational and sectarian Jewish organization. In other words, there hardly was a precedent for persuading a state to assume moral responsibility and make large-scale compensation for crimes committed against an unorganized ethnic group lacking sovereign status. All this is bad enough but it gets worse: fraud. The Claims Conference was formed for the sole purpose of demanding maximum reparations from the German people. The 20 member organizations represented Jews in the United States, Britain, Canada, France, Argentina, Australia and South Africa. Jews in the Soviet Union, Eastern Europe and the Arab countries were not represented. The CC oversees a number of funds—all designated for reparations. In 2009 it was discovered there was massive fraud within the Claims Conference. The fraud, which has resulted in over 31 arrests, took the form of “recruiters” going out into the community and signing up Jews to file bogus claims as Holocaust victims. The scheme apparently began in 1993 with Claims Conference employees knowingly processing the fraudulent claims and the recruiters and would-be “survivors” collecting a share. How much money was involved? No one seems to know. Estimates of the total amount stolen have increased with time. In December of 2009, roughly a month after the irregularities were discovered, the figure was put at $5 million. By February of 2010 this had risen to $7 million, and in November of 2010 to $42 million. As of April 2013 the number stands at $57 million, although officials acknowledge it could rise even higher especially since other funds were effected but evidence has not yet been submitted regarding those. All of this money has been paid for by the German taxpayers. Federal prosecutors have been attempting to clamp a lid on evidence that the fraud may be “even more widespread than the FBI and the U.S. Attorney’s office have so far revealed.” Further, the United States Attorney has been trying to prevent disclosure of the evidence of misconduct inside the Claims Conference. One final note about Jews before ending this topic: the Diary of Anne Frank, required reading in school in years past, is a hoax. “A noteworthy decision of the New York Supreme Court confirms this point of view, in that the well known American Jewish writer, Meyer Levin, has been awarded $50,000 to be paid him by the father of Anne Frank as an honorarium for Levin’s work on the Anne Frank Diary.” Additionally, analysis found that certain parts of the diary were written in ball-point pen and therefore must have been written after the war since ball-point pens were not sold during the war. The 15-year-old girl and her father, Otto Frank, were deported from the Netherlands to Auschwitz in September 1944. Several weeks later, in the face of the onslaught of the advancing Soviet army, Anne was evacuated along with many other Jews to the Bergen-Belsen camp, where she died of typhus in March 1945. The truth about the Anne Frank diary was first revealed in 1959 but how many people know this? JFK’s intention to end the Vietnam War (begun due to falsified evidence & which was a very profitable war for the bankers) by 1965 would severely have cut the profits of the private owned Federal Reserve Bank and the banking establishment. Oil men & arms dealers also prospered. But 50,000 Americans lost their lives in a futile war that left scars on the collective psyche of this country that may never completely heal. President Kennedy challenged the two most successful vehicles that have ever been used to drive up debt: the creation of money by a privately-owned central bank, as discussed, and war. Immense profits are made during war which is why there is almost always war some place. And which is why a Rothschild or other major international banker is involved as noted previously. After the Bay of Pigs fiasco, President Kennedy’s stated that he planned to “splinter the CIA into a thousand pieces and scatter it to the wind.” After the failed Bay of Pigs invasion of Cuba, Kennedy in 1961 fired Allen Dulles as CIA director (he was its first & is regarded as the Founding Father of the CIA. Aside: in 1933, Allen & his brother John Foster met with Hitler to guarantee Hitler the funds needed to install him as Chancellor of Germany. This was necessary to start WWII which would bring great profit to the banking and military related industries). President Johnson named Dulles to the Warren Commission. In Chairman Earl Warren’s absence. Dulles often chaired the Commission and guided its investigation to the conclusion that Lee Harvey Oswald alone killed the President. The CIA has often been called the Central Investment Agency, not only because of the Wall Street backgrounds of many principals, but because of the many commercial operations in which it has engaged (the CIA is always referred to, not by accident, by its insiders, as “the company”). A great deal of stock trading is based upon inside CIA information, buying and selling on the basis of secret intelligence gathered by the CIA all over the world. The CIA has also spent billions to influence foreign elections, always for candidates inimical to the interests of the people of the United States. However, its principal influence has been through its control of foundations and universities, as previously mentioned. The CIA has been involved with drug trafficking since its founding in 1947 and even before it was the CIA. Drug money funds covert operations and is an inherent part of the American economy. Over 250 billion dollars a year in illegal drug money is moved and laundered through the American economy, money which benefits Wall Street. That’s the point of having the prohibitive drug trade, which the CIA effectively manages for the benefit of Wall Street. Drug money is the capital that replaced oil in the US economy. The drug money is always going through Wall Street. Wall Street smells money and doesn’t care where the money comes from; they’ll go for the drug money. Further, there are no requirements for Wall Street to report drug money being invested. In 1972, when Richard Nixon started the War on Drugs, the annual federal budget allocation was 110 million dollars a year for enforcement. In fiscal year 2000, 28 years later, the budget allocation was 17 billion dollars a year, and yet, in the year 2000, there are more drugs in this country, they are cheaper, and they are more potent than they were in 1972. Before the Contra war, the annual cocaine consumption in this country was about 50 metric tons a year and in 2000 it was 550 metric tons. During a meeting, Burma’s warlord Khun Sa stated that the government of America bought his entire annual opium production totaling 900 tonnes in 1989 alone. Three years later, in 1992, production had leapt to 3,000 tonnes. The War on Drugs in intended to increase, not decrease, drug consumption. Making drugs more available in this country has other advantages. A 1996 map showed the pattern of single family foreclosures or single family mortgages (HUD-backed mortgages) in South Central Los Angeles in the heart of the area where the crack cocaine epidemic had occurred. Looking at the HUD data it was that discovered during the 1980s, thousands of middle-class African American wage-earning families with mortgages lost their homes. There were drive-by shootings, the whole neighbourhood deteriorated, crack people moved in next door, children got shot and went to jail. So people had to move out. If $100,000 was owed on a which was appraised at $40,000 because nobody wanted to buy it, it couldn’t be sold, so people left it. Research showed that someone came along and bought thousands of homes for 10 to 20 cents in the dollar in the years right after the crack cocaine epidemic and made a tidy profit. It happened in other cities too, such as Washington Heights, NY. In other words, use the poor people’s money to steal their own land. You get the poor people to buy the drugs, using their money; you take that money to bring in more drugs, which destroys their property value, and then you steal it back. Another advantage to increasing the number of people addicted to drugs is that when “strung-out” on drugs, people are not thinking & questioning what is happening, involved in domestic US politics, or rioting against the status quo. They are sheeple. The CIA has deliberately engaged in mind control programs and pharmacological research to find out which drugs are most addictive. This is covered in a later section. There is no question that Kennedy’s death allowed the CIA (which in addition to drug trafficking, is a front organization for big business & the military-industrial complex) to continue its usual shenanigans and preserve its culture of secrecy. And it is this latter characteristic of the intelligence agencies and the national security state in general that have allowed U.S. foreign policy to remain hopelessly corrupted. Much damage has been done to the reputation of this country because of the actions of intelligence agencies and other military-industrial actors working in secrecy, and the culture that allows these things to go on (and they are still going on today) is not consistent with the kind of transparency, openness, and accountability that a democracy needs to survive. And that does not take into account the incredible damage done by the actual actions of intelligence agencies and other military-industrial actors. So we have a president who was bypassing the private central bank (the Fed, which is the source of so many problems in our country) to return to constitutional money, ending a profitable war, threatening to splinter the CIA and not permitting nuclear weapons for Israel. Is it any wonder he was assassinated? The American public respected Kennedy’s accomplishments and tackling of thorny issues including Civil Rights, the Mafia, Castro, Russia, and migrant farm worker issues. They mourned greatly when he was assassinated. In the following decades, a deliberate campaign was launched to smear his name and accomplishments and remove his halo effect via the constant repetition of his womanizing activities. Anyone who was old enough to remember where they were when JFK was shot is probably old enough to remember what really happened and what it felt like to be a citizen at that time. But history has been rewritten so that those born later would not know the truth. When those of the Kennedy era have all died, who will remember and who will want to spend the effort to discover the truth? This is how the system works. This is how history gets re-written. JFK wasn’t even seeking to wage the Cold War anymore. He was seeking peace, through shared resources and burdens, respect for diversity and national sovereignty, a global balance of power that favored no one nation at the expense of its fellows. All those are anathema to the Elites. War is part of the plan of the Elites because it means huge profits for armament related industries. It also destabilizes and creates fear. There is no such thing as a ‘peace dividend’ for the Elites. JFK’s assassination had some other bonuses for the elite which may have been planned or were fortuitous fallout. On November 22, 1963, the media in this country was faced with a choice – they could either do their jobs and actually investigate this story fairly and honestly to uncover the truth about what had really happened, or they could take the easy way out, look the other way, and help uphold the government’s version of what happened on that tragic and terrible day. Unfortunately, the vast majority of the Fourth Estate took the path of least resistance, and thus was the death knell of the idea of an independent media that would fearlessly search for the truth no matter where it led. Mainstream media can not admit they are now functioning as little more than a public relations arm for government, industry, and the national security state. But there is no doubt that the modern media has become the most important guardian and enforcer of status quo thinking on the entire American scene. It is certainly no coincidence that the biggest insult a member of the mainstream media can hurl at anyone today is to dismiss them as a “conspiracy theorist.” Basically, this represents a subliminal recognition on the part of media members that the Kennedy assassination – which is the first thing anyone thinks of when they hear the term “conspiracy theorist” – really was a turning point in their industry, and because their journalistic predecessors chose the path they did, members of the media who want to be considered “respectable” today must continue to go along with the program. The result is that the American people are never really told the truth about anything any more. Journalism has evolved into increasingly becoming more about what is omitted from the news rather than what’s in it. Mainstream media institutions pursue agendas of social shaping rather than reporting factual news. The news is not designed to inform you, it’s designed to shape your reality, to turn you into a consumer of whatever products the corporations are peddling this year. MSM uses the power of omission to make sure the people aren’t aware of the most socially-relevant stories. Through the use of omission and carefully selected text and photos, media manipulates the truth about false flag events such as the Boston marathon explosions. Since MSM is carefully controlled (to be discussed in greater detail in a later section), it reports exactly what it is directed to be reported and does not encourage or permit investigative journalism. When “real news” is reported, it can be deliberately obscured. Further, the more disturbing the real news, when government announces something that it doesn’t want people to know about, the more it is carefully timed and presented. The ploy is to release the news late on Friday (because most people are distracted with getting off work early and headed out for the weekend), weekends and holiday periods. This is perfect to conceal blows to freedom when various Police State measures are enacted. No discussion of how Americans receive news, how Americans are influenced in ways they do not even know are happening and the impacts thereof would be complete with mentioning Edward L. Bernays, nephew of Sigmund Freud, who is the father of public relations and original “Spin Doctor. He ranks towards the top of the list of those who have been responsible for bringing great harm to the human population. Google his name for an abundance of information. The refinement & perfection of the arts of “spin doctoring,” the numerous techniques of disinformation (the “magic” of the lie, to hide it in plain sight) and limited hangouts insure that the truth is even harder to find. President Johnson’s profligate “Great Society” spending strategies, which took FDR’s “New Deal” and accelerated it into hyper-drive, dramatically altered the government’s role in the social and economic lives of its citizens. In establishing the basis of the present welfare-warfare state, Johnson’s actions set the stage for the total ethical, economic, social, political, and even military disasters which have been unfolding in our country. It was during LBJ’s administration that the federal government became the bloated bureaucracy ineptly trying to solve every social problem under the sun by throwing money. Considering how influential the Israeli lobby is in the U.S. Senate, Jews had to have been enraged when President Kennedy genuinely wanted to reform the current campaign finance methods because it made politicians so reliant upon the huge cash inlays of special-interest groups. Regrettably, Kennedy did not have the time to implement this program, and to this day our political system is still monopolized by lobbyists from the very same special-interest groups. From there we could progress to how 9/11 ties into/derives from the above, all its lies, the Black Eagle Trust Fund, et al. If that is not enough for fallout, then we could move along to: GWOT, Police State, Militarization of the Police, incredible weapons (ADS, LRAD, HAARP, HSS, ECHELON, nanobots, etc), False Flag Operations (9/11, Boston Marathon, etc), Operations Northwoods, surveillance grids, Loss of privacy, increase of Big Brother, Mind Control, Sheepling, Dumbing Down America & the real history of Education & those responsible for that & Western/Orthodox Medicine & Big Pharma, the role of foundations & think tanks (Citizens of the United States are controlled through tax exempt foundations, eg: Institute for Policy Studies, The Brookings Institute, etc), incredible domineering role of Rothschilds & their associates (pick any big names, JP Morgan, Peabody, Rockefeller, you name it), AIDS is a DOD weapon, ADD & Autism Epidemics, the FDA does not protect the best interests of citizens, The Corrupt Cancer Industry (goal is not to cure cancer, just keep raising money, etc), role of Junk Food, Fluoridation, etc, etc ad nauseum. NextVideo how money is made from banks in the united states and how the federal reserve steals money from people….